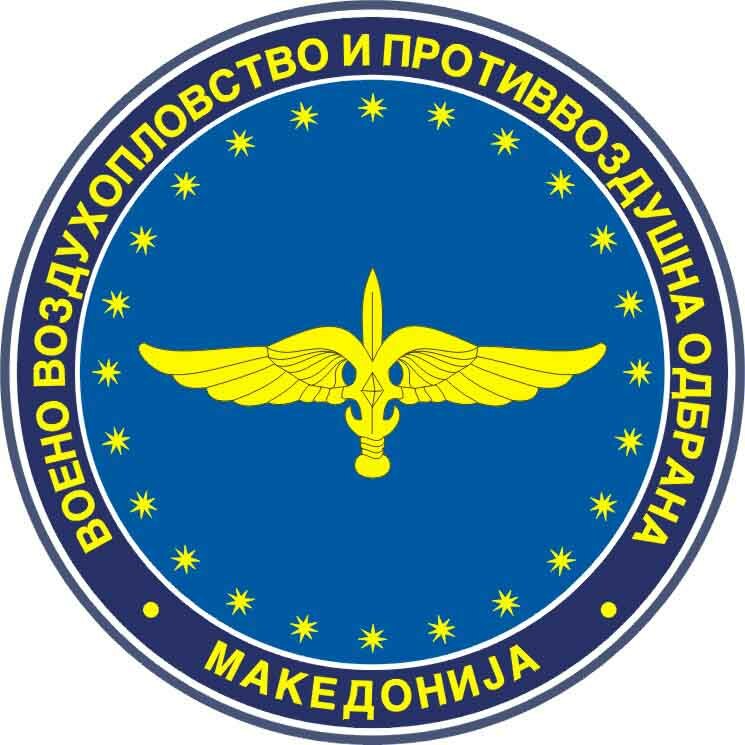 The Macedonian Air Force was first formed on 10 June 1992, with one UTVA-66 and four UTVA-75A-21 aircraft leased from the Makedonski Vozduhoploven Sojuz (Macedonian Aeronautical Union). These aircraft carried civilian markings. All the other aircraft then based at Petrovec Air Force Base, (the military section of Petrovec airport, near Skopje), were withdrawn to Serbia by the retreating Yugoslav People's Army. All four UTVA-75A-21 were returned to their owner when the Zlins ordered to replace them arrived in 1995. One non-operational UTVA-66 was also part of Macedonian Air Force until August 2001, when it was delivered to Bitola aviation club. In 1994 four new Mi-17 Hip helicopters were acquired from Ukraine, and were followed in 1995 by four new Zlin-242L aircraft from the Czech Republic. During 2001 a major expansion was initiated to meet the threat from ethnic Albanian insurgent attacks in the north of the country. In the space of only a few months the Macedonian Air Force was strengthened with four Su-25 Frogfoot, ten Mi-24V Hind-E, four Mi-8MT and two UH-1H Huey. In response to the brutal assault by Albanian insurgents on the town of Tetovo, in the dawn of March 25, Macedonian security forces launched a full scale offensive in order to neutralise and eliminate them. In this operation, Macedonian Security forces used Mi-17 transport helicopters and recently acquired Mi-8MT combat helicopters. This was the first time that Macedonian Air Force aircraft was involved in combat. On June 24, one Su-25K took off from Petrovec Air Force base and was involved in observing the scene over Arachinovo village where heavy fighting was underway. This was the first time in the history of Macedonia that a fixed wing Macedonian Air Force combat aircraft had operated from a Macedonian Air Force base. According to the Macedonian Ministry of Interior, Albanian insurgents in Macedonia posess a large quantity of anti-aircraft weapons that include a number of FIM-92 Stinger and Strela-2M (NATO: SA-7b Grail) man-portable low-altitude SAM systems, 100+ anti-aircraft canons and 500+ anti-aircraft heavy guns. Despite this quantity of anti-aircraft weapons in the hands of the insurgents, not one aircraft of the Macedonian AF was lost as a result of anti-aircraft fire. As part of the big re-equipment of the Macedonian Army in the face of the threat that comes from increasing Albanian militancy in the country and in the region, Macedonia took the opportunity to strength its Air Defence units with sophisticated Strela-10M (NATO: SA-13 Gopher) mobile short-range, low altitude surface-to-air missile systems as well with a dozen Igla-1 (NATO: SA-16 Gimlet) man-portable surface-to-air missile system. The building and equipping of new professional elite parachute unit that will be part of the Macedonian Air Force is currently underway. This unit will be trained for air drops, special combat operations behind the enemy lines and leading Macedonian Air Force aircraft onto enemy positions (Forward Air Control/Target Designation). The expansion and development of the Macedonian Air Force is set to continue. The Macedonian Air Force is trained for air-to-air and air-to-ground combat activities. The basic tasks of the Air Force are to fight for the highest possible level of dominance in the air or part of it and, through its activities, to strengthen and assist the Land Forces in carrying out their basic military tasks. According to its role, the activities it has are of double use: air defense of the territory and the Armed Forces, which covers all the defensive activities of the Air Force whose basic goal is to protect the territory as an integral part of the air reconnaissance and attack mission, especially to protect the Armed Forces and the objects of important for conducting the war, as well as air support of the Land Forces with the goal of strengthening, assisting and creating better conditions for the Land Forces in order to carry out their combat tasks. In a warfare situation the basic tasks of the Air Force are: to fight for Republic of Macedonia air dominance, to conduct reconnaissance, to provide air fire support to the Armed Forces units and to undertake and conduct communications. Overhaul and upgrade of 2 Mi-17s and 2 Mi-24s plus conversion of 1 Mi-17 to VIP configuration to be paid for by return of all Su-25s to Ukraine. Delivery of one transport aircraft from Ukraine. Two Zlin 242Ls and one Zlin 143L trainer are on order. Equipping helicopters with NATO compatible communication systems. Equipping Macedonian Air Force with up to seven western-built utility helicopters. As the Interior Ministry already operates two UH-1H Huey utility helicopters, additional delivery of helicopters of this type seems logical and cost effective solution. Construction of a new air base near Sveti Nikole in the east of the country. The first Macedonian Air Force aircraft carried only civilian registrations. 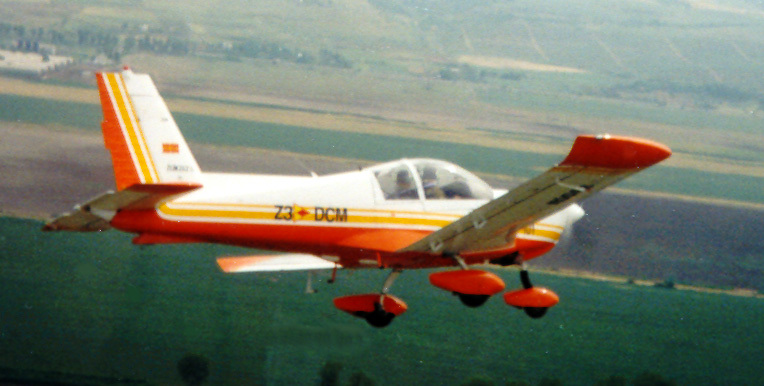 For example, one of the four UTVA-75A-21 trainers that were operational within the Macedonian Air Force from 1992 to 1995 was serial Z3-DCF (former Yugoslav Air Force serial 53183). Since 1996 all Macedonian Air Force aircraft, except the Zlin-242Ls, carry only military serials. During the fighting with the ethnic Albanian terrorists* the Macedonian Air Force has rapidly expanded - receiving an additional 20 aircraft. All these aircraft have received a three-digit serial number without the prefix VAM. The first number of the serial appears to indicate which squadron operates the aircraft. The Macedonian Air Force plans to apply the missing 'VAM' letters in front of the serials on all these recently acquired aircraft. None - Manufacturers designations used, except for the Mi-24 helicopter. The Macedonian media refer to this helicopter as the "Letecki tenk" which translates on English as "Flying tank" (tank, meaning on main battle tank). Petrovec Air Force Base, near Skopje. Until November 2001, the Macedonian Air Force and Air Defense Forces consisted of an Air Base, an Airborne Brigade, Air Defense Units and a Surveillance, Informing and Interception Wing. The Avio Brigada (Airborne Brigade) was organised into three squadrons: 101 Avijaciska Eskadrila or 101 AE (101 Aviation Squadron), 201 Protiv Oklopna Helikopterska Eskadrila or 201 POHE (201 Anti Armour Helicopter Squadron) and 301 Transportna Helikopterska Eskadrila or 301 TRHE (301 Transport Helicopter Squadron). A re-organisation took place late in 2001, under which the Avio Brigada (Airborne Brigade) became the Avio Bataljon (Airborne Battalion) and each Eskadrila (Squadron) became a Cheta (Company). So, 101 AE became 101 Avijaciska Cheta (101 ACh, 101 Aviation Company), 201 POHE became 201 Protiv Oklopna Helikopterska Cheta (201 POHCh, 201 Anti Armour Helicopter Company) and 301 TRHE became 301 Transportna Helikopterska Cheta (301 TRHCh, 301 Transport Helicopter Company). As part of the re-organisation, a new company was also established, named as 401 Shkolsko Trenazna Cheta (401 ShTCh, 401 Training Company). This company now operates three Zlin 242L and two UH-1H utility helicopters. Before coming part of 401 Training Company, Zlin 242L two-seat trainers were part of 101 Aviation Squadron and UH-1H utility helicopters were part of 301 Transport Helicopter Squadron. All current Macedonian Air Force aircraft are based at Petrovec, the Macedonian Air Force main air base, near Skopje. All current Macedonian Air Force aircraft are based at Petrovec, the Macedonian Air Force main air base, near Skopje. The second big airport is Ohrid, were Macedonian Air Force aircraft are rarely seen. There are a lot of airfields of 'C' category all over Macedonia and they are very often used by the Macedonian Air Force. * Includes a one-third of a page entry on Macedonia. * Current aircraft serials listing. Thanks to Igor Bozinovski for updating this information.